Prime Minister Narendra Modi today met German President Frank-Walter Steinmeier at Sundar Nursery in New Delhi. During their meeting, both the leaders are believed to have discussed ways to further deepen ties between the two countries in various areas. Mr Steinmeier will also meet President Ram Nath Kovind this evening. In the morning, the visiting dignitary was accorded Ceremonial Reception at Rashtrapati Bhawan. 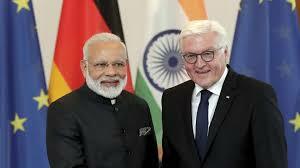 Talking to media, the German President said, his country is looking with admiration to the manner in which India is dealing with its diversity. Mr Steinmeier said, India has a rich cultural heritage and the two countries can learn many things from each other. He said, India and Germany have common economic interests and there is a huge potential to expand the economic relations. Earlier, Vice President M Venkaiah Naidu and External Affairs Sushma Swaraj met the German President. 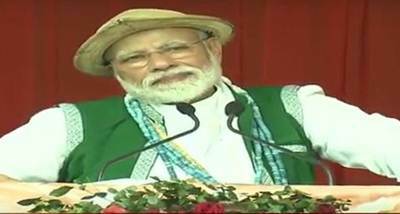 He is on a five-day visit to India from the 22nd of this month. He will visit Chennai tomorrow.